A popular alternative to the more expensive pouring mediums, PVA glue mixed with water works well to thin your paints to the right pouring consistency. 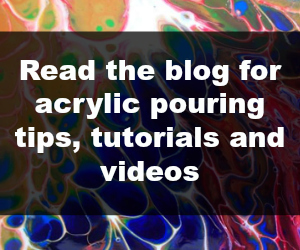 PVA dries clear so it shouldn't change the colors of your paints. For archival quality art, make sure to pick an acid-free glue such as the book-binders glue or PH Neutral options, or go with the regular PVA for economy.